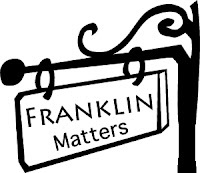 Franklin Matters: "fixing the company’s problems will take years"
"Facebook revealed Wednesday that tens of millions more people might have been exposed in the Cambridge Analytica privacy scandal than previously thought and said it will restrict the user data that outsiders can access. In a call with reporters Wednesday, Zuckerberg acknowledged he made a “huge mistake” in failing to take a broad enough view of what Facebook’s responsibility is in the world. He said it isn’t enough for Facebook to believe app developers when they say they follow the rules. He says Facebook has to ensure they do. Facebook is facing its worst privacy scandal in years following allegations that Cambridge Analytica, a Trump-affiliated data mining firm, used ill-gotten data from millions of users through an app to try to influence elections." No, fixing the company's problems can be done in less time than that. All it takes is for a ground swell of users to delete their accounts. With no 'real' accounts, the accounts left on Facebook will be the fake ones.